Madrid, April 4th 2019 -- Netflix today celebrated the opening of its first European production hub in Tres Cantos, Madrid. This is part of a multi million Euro investment in Spanish language content, which will help to support Spain's growing creative community. Since launching in Spain four years ago, Netflix has invested heavily in Spanish language shows: local stories created by local talent and produced locally. Today, it added another two new original shows -- El inocente and El crimen del siglo -- to its 2019 and 2020 slate that includes series such as La casa de papel Part 3, Alta Mar, Las chicas del cable Season 4, Paquita Salas Season 3, Elite Season 2, Criminal, El vecino, Hache and Días de Navidad and films like Elisa y Marcela, A pesar de todo, �A quién te llevarías a una isla desierta?, Diecisiete, Klaus or Hogar. In 2018, over 13,000 cast, crew and extras have worked on Netflix originals This year, that number is set to increase to 25,000 -- including La casa de papel and Las chicas del cable, both of which have been international hits. "Our aim is to be part of the Spanish creative ecosystem. We are investing for the long term, We are here to stay and to participate", said Reed Hastings during the presentation. "Our goal is to work with the best storytellers to create great shows and films that delight our members. It's been amazing to see Spanish shows like Elite and La casa de papel win the hearts of fans not just in Spain, but globally. This is our first European production hub and we're excited about the great stories that will be produced here in Spain, and watched by the world." At an event this morning Reed Hastings (CEO), Francisco Ramos (VP International Originals) and María Ferreras (VP Business Development) hosted writer and creator Álex Pina, executive producers Teresa Fernández-Valdés and Belén Atienza, writer, director and president of the Film Academy Mariano Barroso and actor Álvaro Morte for a discussion about creativity and production in Spain. During the panel, Álex Pina, showrunner of La casa de papel has highlighted the new international journey for some Spanish shows: "Traditionally, Spanish fiction has always been much more watched in Spain than American fiction, now I believe that the challenge ahead is to make the leap to other markets. With La casa de papel, we are experiencing success in many countries with cultures very different from our own, such as Saudi Arabia, which is incredible". Belén Atienza, executive producer of El Inocente and Alma: "Our engine are the stories, I find it very exciting that cultures so different feel close to our characters. I have read many times that the consumption of fiction contributes to creating better human beings because it helps us to travel with other characters, to put ourselves in their place and to understand other kinds of conflicts". 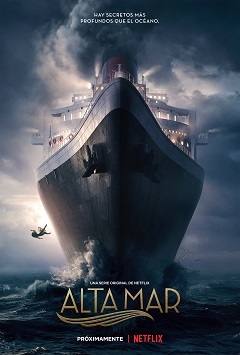 Mariano Barroso, director of Criminal said: "On the debate between film and television and the distribution windows, I think that we should work hand-in-hand with the Television Academy to support this very good moment for our industry, in which there is room to work with all market players and explore all kinds of exhibition formats. Teresa Fernández-Valdés, co-creator of Las chicas del cable and Alta Mar commented: "During the industry crisis, we creators couldn't think of stories that we already knew couldn't be produced for budget reasons. Now we see that we can have the resources to dream and develop more ambitious projects. In words of Francisco Ramos "We are very proud of the ongoing productions we currently have, the ones we are developing and the new ones that we have announced today. Stories in Spanish for Spain, Latin America and the rest of the world. Bringing our unique and personal stories of diverse genres and formats to every corner represents a great opportunity for our creative community"
Harlan Coben, Oriol Paulo, Belén Atienza, Sandra Hermida, Eneko Lizarraga and Jesús de la Vega are the Executive Producers and Laura Rubirola is the Associate Producer. Created by Mateo Gil and Miguel Barros, Los Favoritos de Midas is a 6 episode series, a free adaptation based in the homonymous short story by Jack London, published in 1901. Victor, a rich businessman, is blackmailed in a strange way: a mysterious organization threatens to kill a person randomly on the date they indicate, and will continue to kill other victims periodically unless they get something from him. Netflix has also shared today the teaser poster of High seas, a series full of mystery set in the 1940s that will launch globally this Spring. * Family picture (from left to right and top to bottom): Cristina Lopez Ferraz, Darío Madrona, Sandra Hermida, Tomás Cimadevilla, Carlos Montero, Jorge Torregrosa, Beatriz Bodegas, Nuria Valls, Maria Lopez Casta�o, Ram�n Salazar, Nacho Vigalondo, Pilar Blasco, Jota Linares, Gema R Neira, Inés de Le�n. 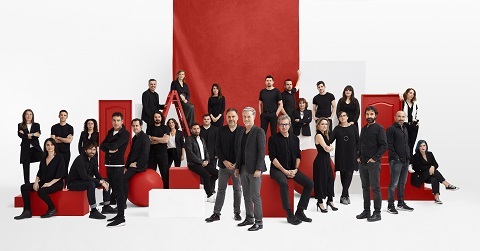 Siguiente linea Belén Atienza, Daniel Sanchez Arévalo, Alex Pina, Sergio Sánchez, Adrián Guerra, (Francisco Ramos), Reed Hastings, Mariano Barroso, Teresa Fernández Valdés, Ver�nica Fernández, Mateo Gil, Pau Freixas, Elisabet Benavent.